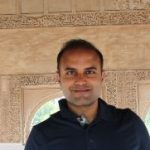 tableaufans.com » How to write back data to SAP HANA? This document assumes you are already using or used Timo’s Extension write back to MYSQL. You can use same XAMPP, however since I already have npm on my machine I was using that as a webserver to host the PHP file which finally writes back the data to SAP HANA. Make sure the user has a content admin role over the required schema (synonyms/CDS objects if using 2.0). 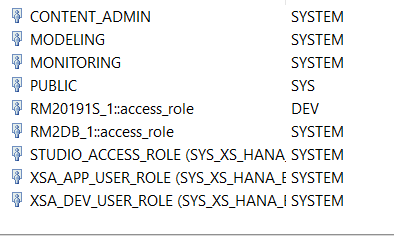 Step 2: As mentioned in MYSQL blog post create similar tables in HANA. 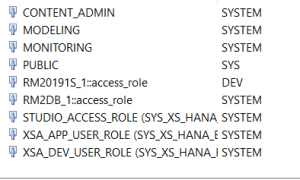 You can create a columnar or a row table in HANA according to your needs. Both will work for this solution. Step 4: Follow the same instructions from Timo blog post over copying all the required files of the extensions. Before testing the HANA insert records PHP file, make sure to modify the ini file under location xampp\php in my case it is under npm. Modifaction requires you to just uncomment below two dll libraries which are already in the INI file. Below is the code : You can run this PHP from your browser to test if statements are working. Easiest way is use Select ‘A’ from dummy staement or even simple INSERT statment with dummy values into the table you created. Step 6: Update your MarkSelection JS file to refer to this PHP file created above. Assume you are using Timo JS code, just rename the reference of Timo’s INSERT PHP file to HANA one that you created in Step 5. Also since Timo’s dashboard is using the data source name as MYSQL you might have to change that in case you decide to change the data source name in your dashboard. For example, if I created the Data Source named HANA on these Tables create in the above steps I will have to change the JS script code referencing the data source name.